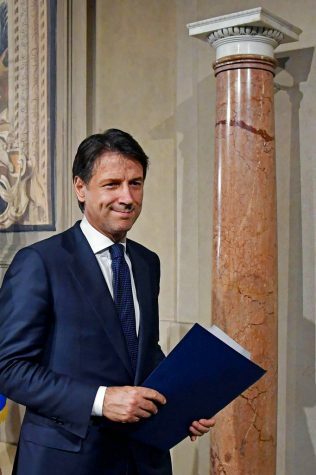 Giuseppe Conte addresses the media at the Quirinale presidential palace in Rome, on May 31, 2018. Italy’s president has tapped law professor Giuseppe Conte to be Italy’s next premier heading Italy’s first populist government. After months of stalemate followed an inconclusive parliamentary election in March, the Italian political landscape has shifted into overdrive. MILAN — Italy’s anti-establishment 5-Star Movement and right-wing League succeeded Thursday in forming western Europe’s first populist government, which will be headed by a political novice whose first try was rejected four days earlier as too risky. What changed was the willingness of 5-Star leader Luigi Di Maio and League leader Matteo Salvini to shuffle the proposed roster of government ministers amid a financial market scare. After the fits, starts and financial turbulence of recent days, the coalition government put its populist posture on full display in Salvini’s first public remarks. “I want to make Italy a protagonist in Europe again. With good manners and without creating confusion,” Salvini said to cheers in his home region of Lombardy. Just a short time earlier, President Sergio Mattarella’s office announced that the new premier, Yale-educated University of Florence law professor Giuseppe Conte, and his ministers would be sworn in Friday. It was a stunning comeback from Sunday, when Conte — the premier-designate at the time — left a meeting with Mattarella empty-handed. Giuseppe Conte addresses the media at the Quirinale presidential palace in Rome May 31. Italy’s president has tapped law professor Giuseppe Conte to be Italy’s next premier heading Italy’s first populist government. The president’s office announced Thursday that Conte had accepted the role, and that he would be sworn in Friday afternoon with ministers. The proposed Cabinet includes Di Maio, architect of the government’s proposed basic income for struggling Italians, and Salvini — who has pledged to expel hundreds of thousands of migrants. An inconclusive parliamentary election in March produced months of stalemate before political machinery went into overdrive this week. 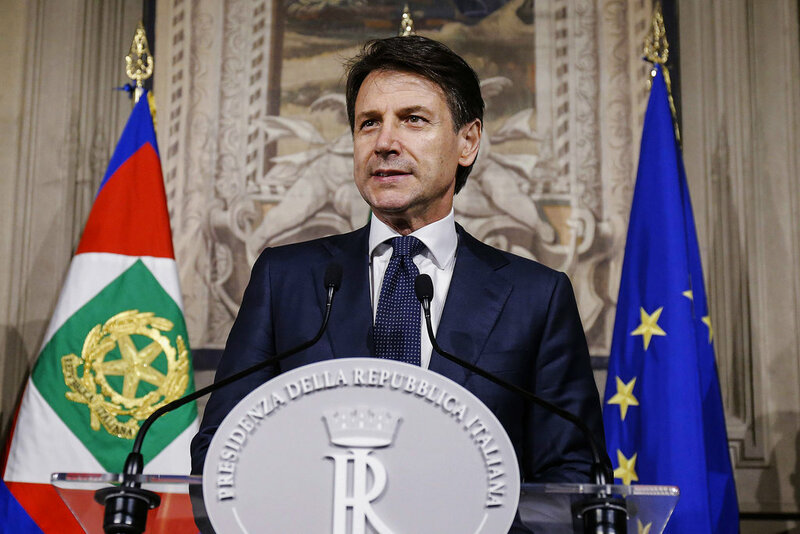 After rejecting Conte’s first attempt, Mattarella tapped a former International Monetary Fund official to head a possible interim government to see Italy to an early election. But investors, fearing the vote would be a referendum on the euro, revolted, sending Italian stocks plummeting. Just the prospect of a political government calmed markets Thursday. Analysts have raised questions about the roll Conte would play with the parties’ leaders. Lorenzo Codogno, a former Treasury official and economic analysist, said he predicts “trench warfare” between the government and Mattarella.